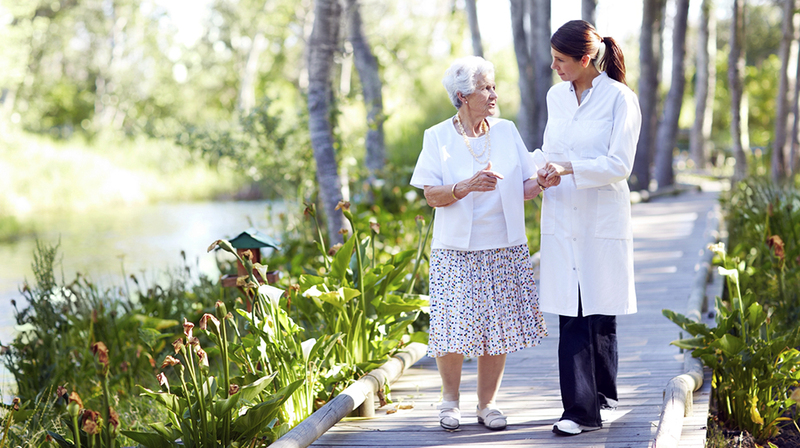 WestRock Inc. serves the health care industry with a professional trained staff that serves the needs of hospitals, nursing homes, clinics, assisted living, and long-term care facilities. WestRock helps healthcare facilities improve quality of care to their patients through the distribution and installation of dynamic, cost-effective solutions such as patient lifts, nurse call systems, patient wandering/door access systems, bathing systems, and specialty seating. Deploying nurse call systems that keep the nursing staff in touch with each other is one of the many solutions that WestRock provides to its clients. In fact, Westrock manufactures its own wireless call systems which use Telelocator Alphanumeric Protocol (TAP), enabling supervisors to send messages to individual nurses via pagers. According to Jim Todd, Principal at WestRock, the typical nurse call systems enable on-site paging of staff members, communicating the priority and location of a patient in need of assistance. For one of WestRock’s recent clients, the 90-bed Sisters of Mercy Catherine’s Residence nursing home in St. Louis, Missouri, communications through a vibrating pager was not sufficient. “While it was important for the staff to maintain the paging capability provided by the existing nurse call system, they needed a solution that would improve the communications between the staff members enabling them to increase productivity and reduce response times,” Todd explained. WestRock was tasked with finding a solution that would: 1) work with the existing nurse call system, 2) incorporate TAP capability (allowing text messages to be sent instantly to the nursing staff), and 3) add a voice communication capability— all in a single, compact device. The ideal solution would be a long-range, cordless phone with TAP capability that could integrate seamlessly with the existing nurse call system. During his search for a suitable solution, Todd heard from another distributor that the long-range EnGenius DuraFon PRO Cordless Business Telephone Systems provide an option to support TAP. Compatible with PBX and IP-PBX systems that support analog devices, the DuraFon PRO could easily be added to the existing nurse call system to give the staff both text paging and voice communications capabilities in a single, ruggedized handset. The high-performance DuraFon PRO system, which delivers reliable in-building multi-floor penetration through up to 12 floors, covers up to 250,000 square feet of indoor facilities, and up to 3,000 acres of coverage over open outdoor property, gives users mobility throughout the premises and beyond. When used with the optional TAP base, the DuraFon PRO system becomes a complete communications solution with the ability to support single-unit and broadcast text messaging, voice phone calls, and point-to-point voice communications. WestRock installed a DuraFon PRO base station, a TAP base, and 20 handsets, providing the ability to instantly contact nurses and staff members via voice or text paging regardless of their physical location on the property. According to Todd, deployment of the DuraFon PRO system was easy and the system provides long-range and reliable connectivity for the Catherine’s Residence staff throughout the premises, allowing them to improve the service to their patients. At Catherine’s Residence, replacing the previous pager-based system with the DuraFon PRO TAP Solution greatly enhanced the communication capabilities of the nurse call system. The ability to communicate with staff members via text message and voice has resulted in increased staff productivity and improved quality of care for the residents. Todd explained that the DuraFon system gives the staff the ability to use their handsets to talk directly to the residents in their rooms, allowing them to respond quicker to the needs of the residents. This capability gives the residents peace of mind and enables the nursing staff to assess situations in real time and prioritize their response. In addition, the ability to instantly reach staff members, regardless of where they are on the property, increases operational efficiencies. Todd said that the ability to talk to the individual nurses over their handsets eliminates the time and effort previously required to walk around and locate staff members. Learn more about EnGenius Phone Systems.